Welcome to sunset beach and fresh ocean breezes where your quintessential beach home awaits! Just steps to the sand and harbour, this corner/end-unit beach condo has been remodeled top to bottom with over $40,000 in upgrades including windows, doors, glass slider, flooring, kitchen, unique marble counters, stainless steel appliances, bathroom with vanity, toilet, bath, tiling, fixtures and two decks! Whether you are a first time buyer, looking for a vacation home or investment opportunity, this delightful condo was made for the ultimate beach lifestyle! 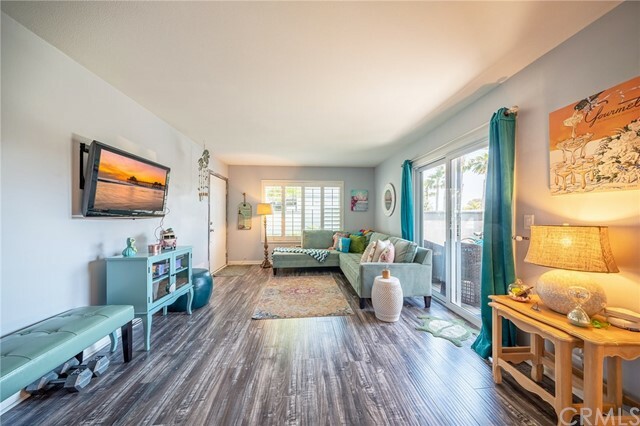 Located in the heart of sunset beach, and walking distance to bars, restaurants, shops, the bolsa chica wetlands and minutes from seal beach and downtown huntington beach. The association features low association dues, pool, 2 spas, sand volley ball court, outdoor showers, laundry facilities, bbq & tables, private beach and marina access, kayak storage and boat docks to rent. Hurry. Just in time for summer! For more information or make an appointment to see property ID OC19081464.